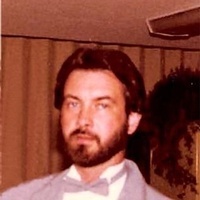 Gary D. Maney, 67, of Cohutta passed away Saturday, May 12, 2018 in Ormond Beach, Fl. He was the son of the late Clifford and Mary Helen Broome Maney. Gary was the owner of Industrial Control Systems and was an avid collector of classic cars. He is survived by his loving wife, Tammy Ledford Maney of the residence; daughter and son-in-law, Melissa and Derek Voiles of Dalton; step-children, Lesly Roach of Dalton and Brett Roach of Atlanta; granddaughters, Mollie Voiles and Maycie Voiles; brother and sister-in-law, Ronnie and Teresa Maney of Dalton; nieces, nephews and many special friends. Friends are invited to the Filling Station, 316 N. Hamilton St. Dalton, Ga. on Friday after 5 p.m. to join the family as they celebrate the life of Gary. In lieu of flowers memorials may be made in Gary’s honor to the Lewy Body Dementia Association, (LBDA) 912 Killian Rd. SW, Lilburn, GA. 30047 www.lbda.org or to The Michael J. Fox Foundation at Donation Processing, The Michael J. Fox Foundation, P.O. Box 5014 Hagerstown, MD 21741-5014.